Take my heart already, why don't you, L.A. Witt?! Naming the Anchor Point series as one of my favorites of all-time would be such an understatement. I was worried that there were only going to be two novels in the series, but with each additional book that the author has both released and announced, I'm like an addict who gets all antsy because there'll be a waiting period before I get my fix, but when I do finally get my greedy hands on the next book, I'm left both satisfied and craving for even more. You would think that four books in, the excitement would either wane or simmer down, but nope! Witt manages to not just snag my interest and attention each and every time, but she gets me so damn invested in whichever new couple she has for readers and then introduces new ones along the way. The woman knows what she's doing, and man, does she do it well. Not that I'm complaining! 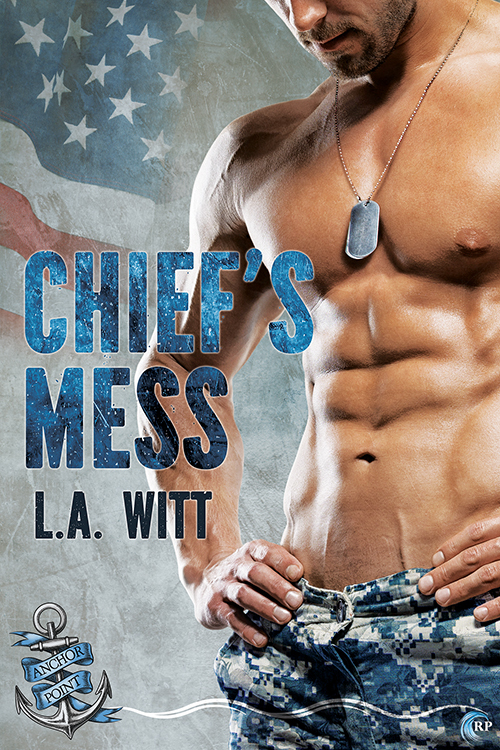 If you follow the series, thirty-seven-year-old Senior Chief Will Curtis should be familiar, what with his being Chief Noah Jackson's best friend in the third novel, Chief's Mess. 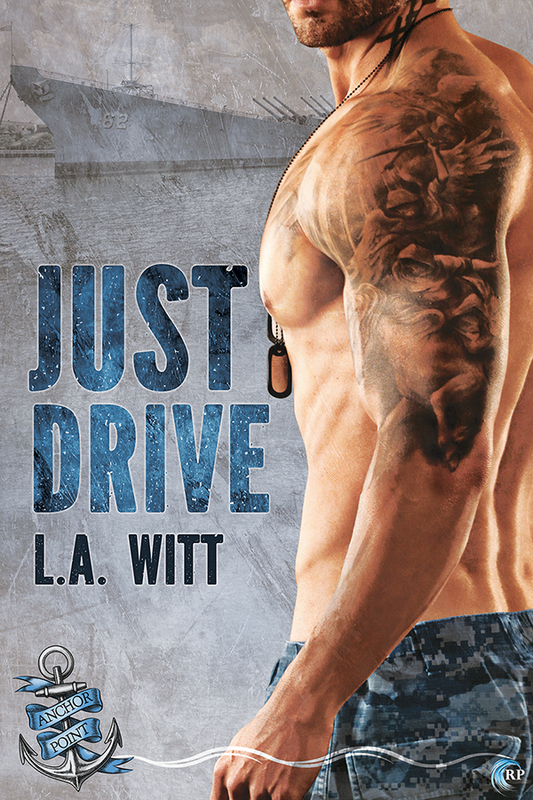 His discovery of his then-boyfriend's cheating played out in the background, and now, it's time for Will to get his own happily-ever-after, one that he shares with someone ten years his junior and someone who just happens to be an officer--Lieutenant Brent Jameson. The attraction between them is mutual and potent, and after a lustful night together, both men know one time isn't going to cut it. They keep their affair secret, all too aware what it will cost them if their relationship ever came out in the open. Will has spent nearly decades to get to this point in his career, and Brent has known nothing else but the Navy. All should be well, as long as it's kept quiet and neither one falls in love. That ship, however, has sailed. I wasn't too familiar with the no fraternization policy that had Will and Brent, but then that's what Google is for, and I love when a story encourages me to learn a thing or two. I have my own personal feelings about that policy, but that's neither here nor there, since it's not going to change the fact that a naval officer and enlisted personnel are not supposed to fraternize and that there are consequences should such behavior be brought to light and proven. So, I understood why it was precarious for these two guys to become involved, and maybe they thought that they would get all that lust out of their systems. However, neither one of them really counted on falling in love. This is where the whole conflict is at. Do they risk their careers for love? Will one or both of them have to give up their careers--careers that they worked long and hard for--in order to be with each other and out in the open? Learn more about L.A. Witt. Purchase Rank & File on Riptide Publishing | Amazon | B&N | iBooks | Kobo.